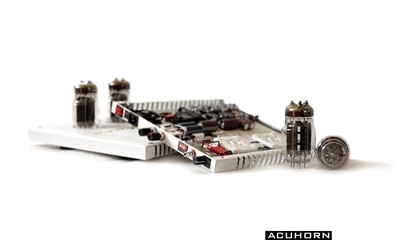 It is a very interesting idea to apply 6C33C tubes operating at the utmost level of Amperes in the world. The high level setup class A per tube is up 8 times greater. 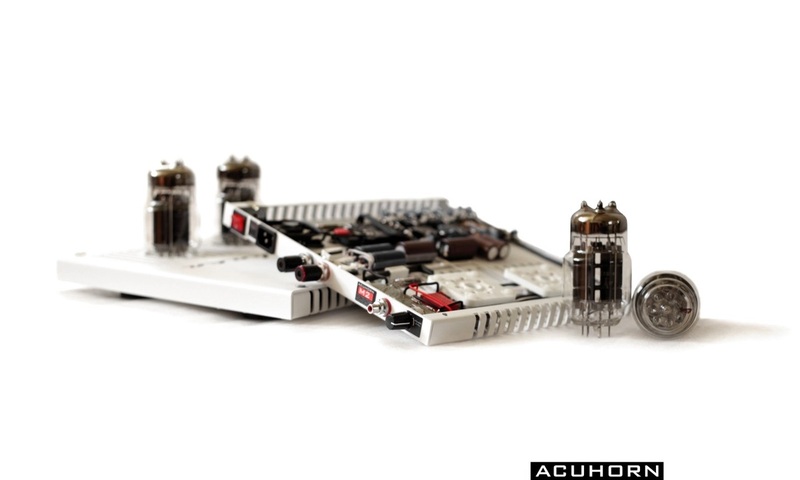 For example, in the S1 amplifier one tube per chanel works like traditional 8 tubes. Monoblock M4 is the equivalent of incredible 32 tubes. 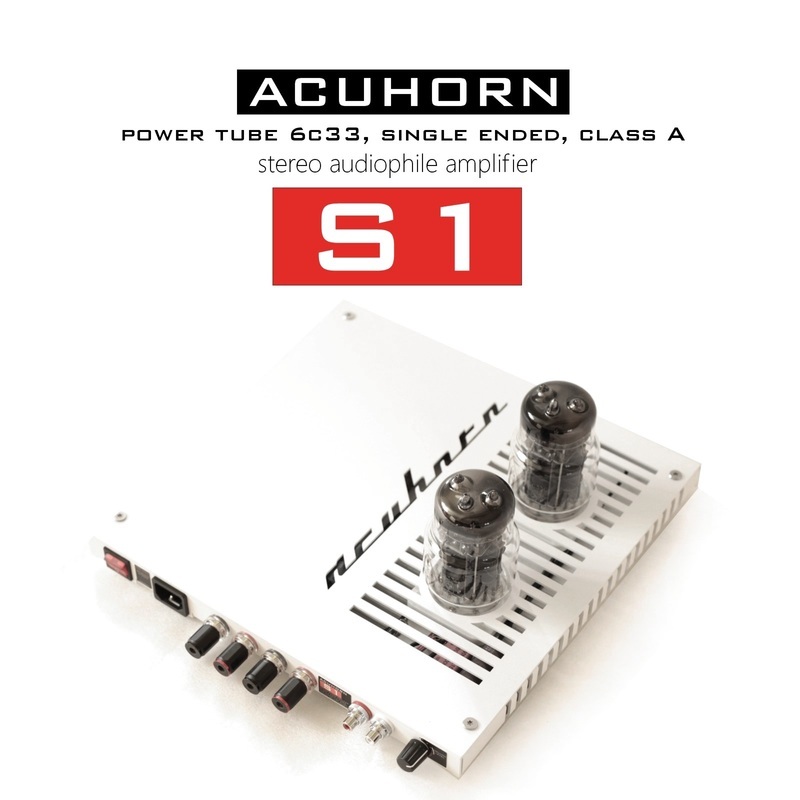 Acuhorn in its new amplifier series fused the newest technology with vintage audiophile tubes' qualities. The latest power supply technology breakthroughs. 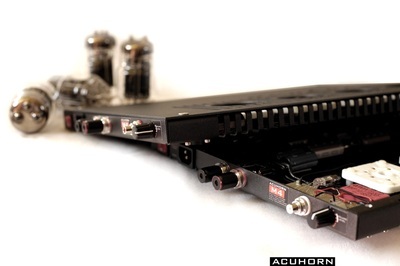 The Vicor power modules as 10 times more excellently supporting splendid performance in audio. 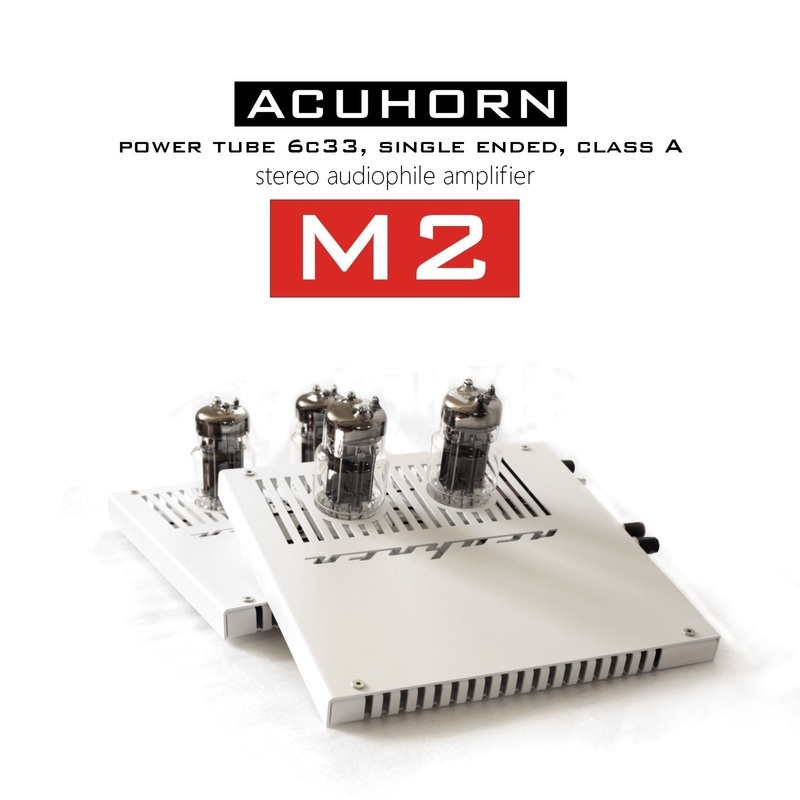 We have a powerful amplifier in pure class A, the beauty of the single ended triode in the audiophile way. Each tube operates independently with self-regulation. Input voltage mains autoranging 90-264Vac 47-440H ready for worldwide work. 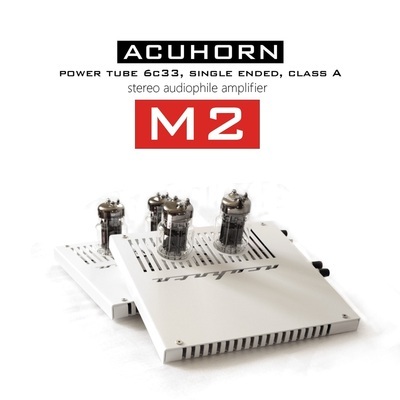 The amplifiers include 21 Stepped Attenuator volume control - it is possible to connect without preamplifier. Easy to use - just insert the big tubes in their socket and start the music. 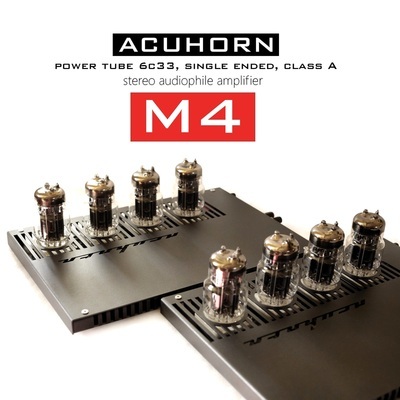 Acuhorn series of tube amplifiers.